Dire Straits were a British rock band from Newcastle, United Kingdom, formed in 1977 by Mark Knopfler (guitar and vocals), his brother David Knopfler (guitar), John Illsley (bass), and Pick Withers (drums), and subsequently managed by Ed Bicknell. 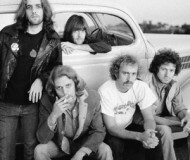 The band were inducted into the Rock and Roll Hall of Fame in 2018. Dire Straits emerged during the post-punk era of the late '70s, and while their sound was minimalistic and stripped down, they owed little to punk. If anything, the band was a direct outgrowth of the roots revivalism of pub rock, but where pub rock celebrated good times, Dire Straits were melancholy. Led by guitarist/vocalist Mark Knopfler, the group built their sound upon the laid-back blues-rock of J.J. Cale, but they also had jazz and country inflections, occasionally dipping into the epic song structures of progressive rock. The band's music was offset by Knopfler's lyrics, which approximated the winding, stream-of-conscious narratives of Bob Dylan. As their career progressed, Dire Straits became more refined and their new maturity happened to coincide with the rise of MTV and the compact disc. These two musical revolutions from the mid-'80s helped make Dire Straits' fifth studio album, Brothers in Arms, an international blockbuster. 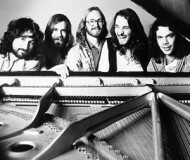 The band - along with Eric Clapton, Phil Collins, and Steve Winwood - became one of the leaders of a group of self-consciously mature veteran rock & rollers in the late '80s that designed their music to appeal to aging baby boomers. Despite the band's international success, they couldn't sustain their stardom, waiting a full six years to deliver a follow-up to Brothers in Arms, by which time their audience had shrunk significantly. Knopfler (born August 12, 1949) was always the main force behind Dire Straits. The son of an architect, Knopfler studied English literature at Leeds University and worked briefly as a rock critic for the Yorkshire Evening Post while at college. 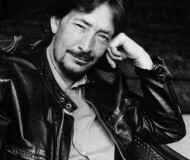 He began teaching English after his graduation, leading a pub rock band called "Brewer's Droop" at night. By 1977, Mark was playing with his brother David (guitar) and his roommate John Illsley (bass). During the summer of 1977, the trio cut a demo with drummer Pick Withers. A London DJ named Charlie Gillett heard the demo and began playing "Sultans of Swing" on his BBC show Honky Tonkin'. 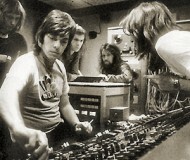 Following a tour opening for Talking Heads, the band began recording their debut for Vertigo Records with producer Muff Winwood in early 1978. By the summer, they had signed with Warner Bros. in the USA, releasing their eponymous debut in the fall. Thanks to the Top Ten hit "Sultans of Swing", Dire Straits was a major success in both Britain and America, with the single and album climbing into the Top Ten on both sides of the Atlantic. The LP "Dire Straits" established Dire Straits as a major force on album-oriented radio in America, and their second album, "Communiqué" (1979), consolidated their audience, selling three million copies worldwide. 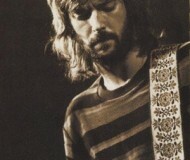 As the group was recording its third album, David Knopfler left the band to pursue a solo career; he was replaced by former Darling member Hal Lindes. Like its predecessor, "Making Movies" was a sizable hit in America and Britain, even though the band was criticized for musically treading water. Nevertheless, the record went gold on the strength of the radio and MTV hits "Romeo and Juliet" and "Skateaway". Dire Straits followed the album two years later with "Love Over Gold", an album filled with long, experimental passages, plus the single "Private Investigations", which became a number two hit in the United Kingdom. The album went gold in America and spent four weeks at number one in Britain. Shortly after the release of "Love Over Gold", former Rockpile drummer Terry Williams replaced Withers. During 1982, Knopfler began exploring musical avenues outside of Dire Straits, scoring the Bill Forsyth film "Local Hero" and playing on Van Morrison's "Beautiful Vision". Apart from releasing the "Twisting by the Pool" EP early in 1983, Dire Straits were quiet for the majority of 1983 and 1984, as Knopfler produced Bob Dylan's "Infidels", as well as Aztec Camera and Willy DeVille; he also wrote "Private Dancer" for Tina Turner's comeback album of the same name. 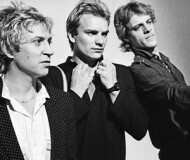 In the spring of 1984, the band released the double album "Alchemy: Dire Straits Live" and by the end of the year, they had begun recording their fifth studio album with their new keyboardist, Guy Fletcher. Released in the summer of 1985, "Brothers in Arms" was Dire Straits' breakthrough album, making the band international stars. Supported by the groundbreaking computer-animated video for "Money for Nothing", a song which mocked music videos, the album became a blockbuster, spending nine weeks at the top of the American charts and selling over nine million copies; in England, the album became the biggest-selling album of the '80s. 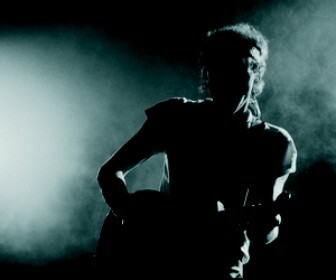 "Walk of Life" and "So Far Away" kept "Brothers in Arms" in the charts through 1986, and Dire Straits played over 200 dates in support of the album. 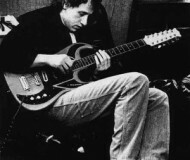 Once the tour was completed, Dire Straits went on hiatus for several years, as Knopfler produced records by Randy Newman and Joan Armatrading, scored films, toured with Eric Clapton, and recorded a duet album with Chet Atkins: "Neck and Neck" (1990). In 1989, he formed the country-rock group Notting Hillbillies, whose sole album, "Missing...Presumed Having a Good Time", became a British hit upon its spring 1990 release. During the extended time off, John Illsley recorded his second album; the first appeared in 1984. In 1990, Knopfler reconvened Dire Straits, which now featured Illsley, Clark, Fletcher, and various session musicians. The band released "On Every Street" in autumn 1991 to great anticipation. However, the album failed to meet expectations - it only went platinum in America but went to number one in the UK charts and most of Europe - it failed to generate a hit single in the UK. The tour embarked on was massive but may have been a bit of a disappointment, with many tickets going unsold in both the U.S. and Europe. Once the tour was completed, the live album "On the Night" was released in the spring of 1993 and the band again went on hiatus. Dire Straits released one last album in 1995, Live at the BBC, as a contractual album release to Vertigo Records. That same year, Knopfler disbanded the group. In 1996, Knopfler launched his solo career. Read more on Last.fm. User-contributed text is available under the Creative Commons By-SA License; additional terms may apply.